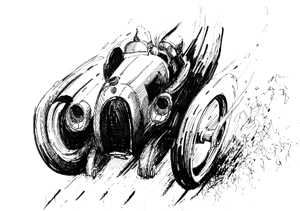 Once upon a time, before World War Two, motor racing was purely a man’s sport. With rare exceptions, women weren’t allowed near the cars during the race. In photos from the thirties it’s always raining and cold, and the men in the pits, invariably clad in long overcoats and ties, all seem to resemble Humphrey Bogart or Alfred Neubauer (admittedly some actually were Neubauer). But in the fifties, something changed. The weather seemed to get warmer and sunnier, and women were suddenly welcome in the pits. By the sixties, at tracks around the world, there were many beautiful women on the pit walls, except Indianapolis of course. Some of these women were talented as well as beautiful and one such was photographer Linda Weldon. Attending the inaugural Can-Am race at Riverside International Raceway in 1966 as a fledgling photographer, Linda was spotted by none other than [now Sir] Stirling Moss, who was beginning his long relationship with Can-Am as spokesman for series sponsor Johnson Wax. Stirling offered her a pit pass and introductions, and Linda, who bears some resemblance to Stirling’s second wife Elaine, formed an enduring friendship with the driver. 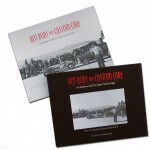 As Moss notes in a recent correspondence, “I remember Linda well, she was about the best-looking photographer around!” But more importantly, racing photography became a consuming passion for Weldon, coinciding with the greatest period in American road racing. 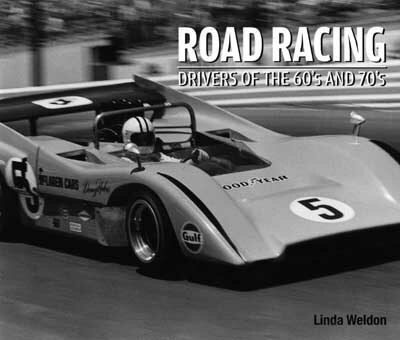 Linda traveled to many of the North American venues during the late sixties and early seventies photographing not only Can-Am but also Trans-Am and F5000 events. Appalled by the human carnage of racing in that time and the loss of so many drivers she had come to know, after the seventies Linda moved on and established a career in the entertainment industry. Today she and her husband Bill Feldhorn are active in the vintage motoring community in California, with a substantial collection of British, American, and Italian cars, which includes three Ferraris: a 1973 246GT Dino, a 1973 365/4 GTB Daytona, and a 2006 F430 Coupe. Over the years Linda’s collection of photos collected dust, and time took its toll on the old negatives. Thankfully she decided to go through them before all was lost and give us this self-published collection. 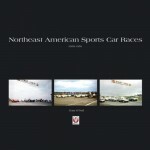 The photos, all in black and white, are not just another hodgepodge of racing action shots. Rather, these are insightful close-up portraits of the drivers of that period, taken in the pits before or between races. In many photos of the period the driver is almost an afterthought, bundled up in helmet and goggles or looking seriously down at his mount trying to determine where The Problem is. Not in Linda’s shots. Somehow she got the drivers to look right at her, almost posing, probably because Linda was a welcome sight during a long day. The result is a series of casual portraits unlike anything else from the time. 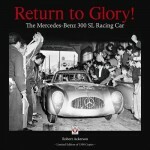 The volume features candid images of the great and near great from an era when European Grand Prix stars still crossed the ocean to compete head to head with American road racers: Chris Amon biting his lip, undoubtedly contemplating his latest disappointment; Ignazio Giunti sitting on the pit wall wearing a wonderfully goofy grin; Denis Hulme, serious, looking far older than his years; Jackie Stewart smiling at some private joke; Stirling Moss looking happy and carefree; John Cannon, clearly exhausted but still putting on his best face. 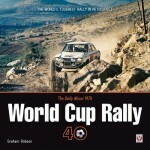 In this slim volume nearly fifty drivers from the period are revealed. There are number of shots of the cars as well, and it’s especially nice to see photos of F5000 cars, an excellent series now all but forgotten, but it’s the portraits that make the book. There are a few problems. 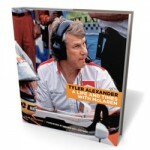 Like some other self-published works, the book could have used a good editor who would have imposed some structure and culled out a few of the less professional shots. I would have preferred the text accompanying the photos to be personal reminiscences from Linda linked to the photos instead of the brief driver bios written by John Heimann, and inexplicably a few bios are not accompanied by any images at all. But it’s a photo book and you will remember the photos, which make this work a worthwhile and unusual addition to the literature of the period. Copyright 2010, Greg Vack (speedreaders.info).